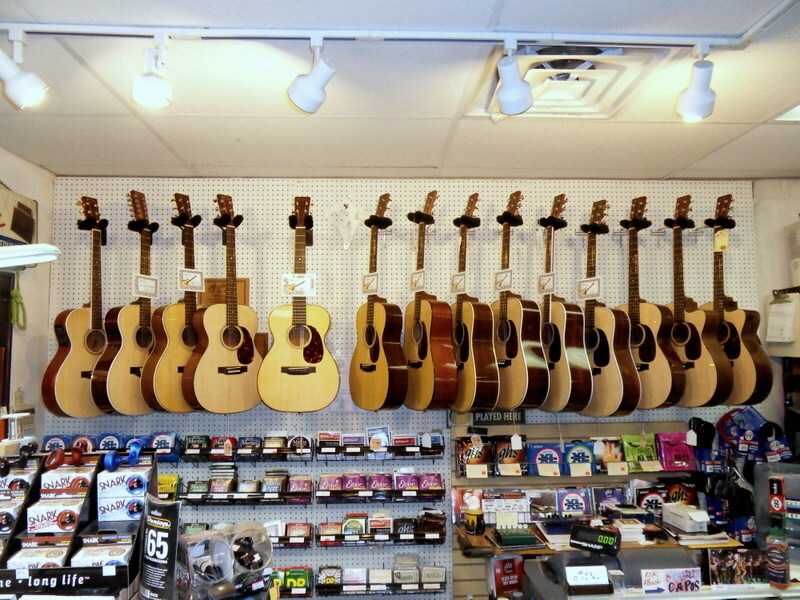 Welcome to Wade's Guitar Shop in Milwaukee, Wisconsin. 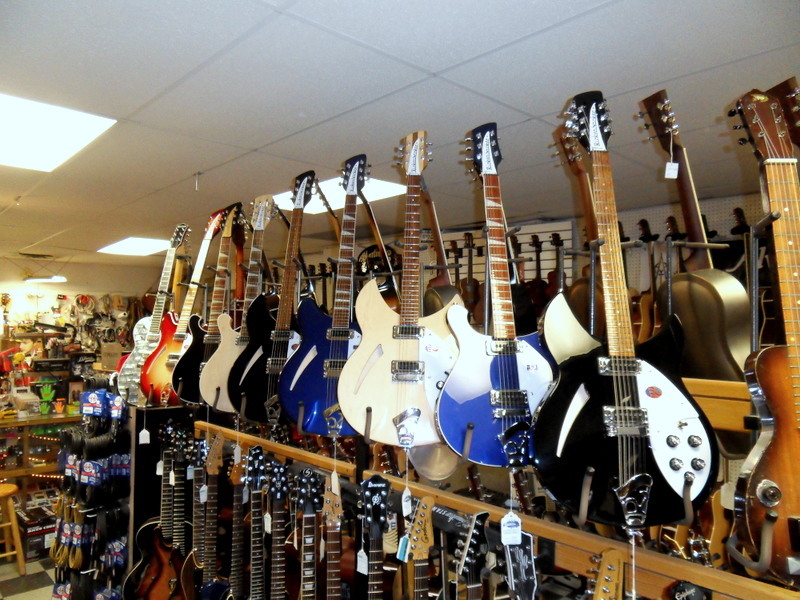 For over 29 years we have been selling and repairing fine musical instruments, amps, effects, and accessories in a no-pressure environment. We stock more than 200 new and used instruments, hundreds of effects pedals, and offer lessons from one of Milwaukee's most experienced teachers. Authorized C.F. Martin Dealer since 1994. Authorized Rickenbacker dealer since 1992. Our little shop holds over 200 guitars. Alex works so fast he's a blur. Behind him high end Martins and other gems. We started selling Rickenbackers in 1992. These Seagull and Martins are among the hundred or so, acoustic guitars. Resonators are more popular than ever. This wall of used electrics is always popular. These are the Martins from $300 to $1500. I've carried Electro Harmonix since I opened in 1989. There are usually 50 to 100 used effect pedals. Some of the many accessories.